With statistics showing there is no shortage of passionate and keen new entrants into agriculture, Alice Singleton looks into the future of farming and the issues facing young people wanting to broaden their horizons in the industry. Uncertain and volatile are two words often used to describe the agricultural industry. It is not surprising then that the general consensus points towards a shortage of young people keen to enter the industry. But, as statistics from Harper Adams University show, encouraging new entrants is not the issue. Figures for 2016 show a 4 per cent rise in undergraduates and a 29 per cent rise in post-graduates studying agriculture and related subjects in 2016. Sam Bullingham, 25, who farms in Devon, is not surprised by the numbers. “I do not think there is an issue with people being inspired into the industry," he said. Mr Bullingham, who rears 50 calves and 150 ewes on 24 hectares (60 acres) of tenanted land on a Farm Business Tenancy (FBT) plus 20 hectares (50 acres) on temporary grazing, said a lack of cashflow hampered the majority of young farmers. He said: “I do not wish to sound stereotypical, but the thing I found most frustrating was money. “We are encouraging people in [to the industry], then they get their 20 sheep to start with and then when they get to the point where they have a good business plan and are at the stage where they want to progress, there just does not seem to be the facility for borrowing. Mr Bullingham, who works on a dairy farm full-time, 45 minutes away from his land at home in Okehampton, believes there should be a capped borrowing system put in place for farmers who have a good business plan which has been in use for a few years, and who want to progress to the next level. “There should be a way to borrow a restricted amount from the bank, so you do not have to go busting your guts for everyone else,” explained Mr Bullingham. The key to establishing a good relationship with your bank, according to the bank managers themselves, is to have a good business plan. This seems to be something many young farmers lack knowledge of. 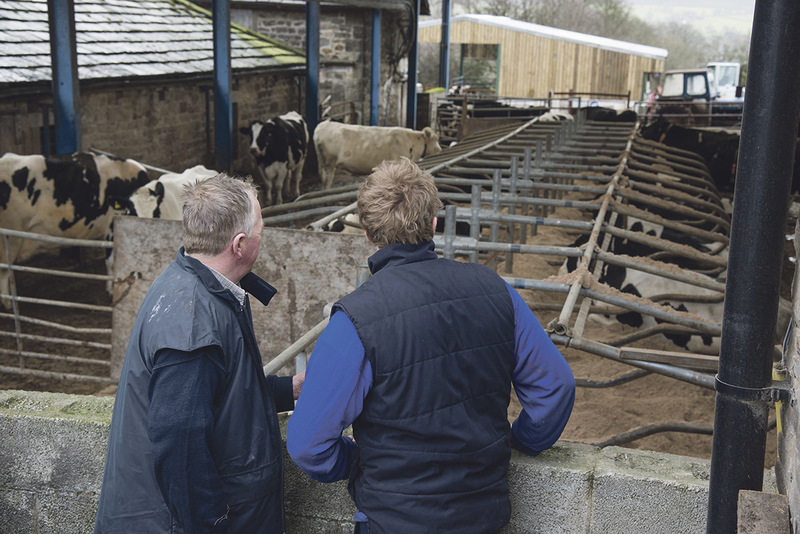 Neil Wilson, HSBC’s regional agriculture director for Scotland, said: “One of the biggest problems some young farmers have when approaching a bank for funding is knowing how to write and present a viable business plan. “We are committed to supporting farming customers with the financing they need regardless of age, but it is important young farmers looking to enter the industry are realistic about any start-up costs and the need to provide a capital contribution of their own. “Any request for 100 per cent funding, be it from a young farmer or any other business, will present challenges. But in the post-Brexit scenario the UK is facing, is getting a foothold on the agricultural ladder about to become even more difficult? “Access to land is a real issue at the moment because it seems to be far too easy for someone who has land and is not utilising it fully to keep their land, due to the fact they are still going to get their Basic Payment Scheme payment every year,” said Mr Bullingham. “This could all change if Brexit alters our farming subsidies, but I do not think this will be a bad thing. “I do not think young farmers should not be gifted this money every year. If we lose the subsidies, the most profitable businesses will survive because you have to make money in order to get the business off the ground. “There has got to be a drive and a passion to be able to get anywhere in this industry and there is always going to be ways to get in for those who are most determined. “If the subsidies were abolished, land would become available from unprofitable businesses. This land could then be used by new entrants entering the industry." Be as concise as you can – remove any filler language. With the whole idea of subsidy reforms up-in-the-air, what else can young people do in order to get a leg on the farming ladder? Sallyann Baldry, business development director at Lantra, said land-based modern apprenticeships can set a young person up for a career in many different sectors. “Throughout a young person’s career, the need for ongoing professional development is critical, particularly in light of the developing legislative framework that governs the agricultural industry,” said Ms Baldry. “If young people are not supported or given the opportunity to advance their career, they can flounder, become demotivated and some may drop out of the industry all together. “What is important is that new people entering the industry are supported and exposed to opportunities to broaden their career at an early stage. “Those who have completed a land-based modern apprenticeship or have relevant qualifications have the foundations for a career in many different sectors, from logistics, construction and food production to forestry and the environmental industries. In the Yorkshire Dales and Cumbria, The Prince’s Trust has teamed up with The Farmer Network and The Prince’s Countryside Fund to support rurally isolated young people. The Enterprise Programme helps disadvantaged 18-30 year olds who are passionate about setting up or developing a farming or farming–related business, but are limited by the resources or opportunities available to them. The Enterprise Programme offers support over four stages including attending a short, free training course covering business planning, book keeping, finance, budgeting, sales and marketing. This is followed by support from an experienced farm business adviser to work one-to-one with. There is also an opportunity to apply for low interest loan funding to launch or develop the business.